Duke Fashions (India) Ltd., a Premium lifestyle brand, has been awarded as “ET Business Knights award” for its huge & Invaluable contribution to the Indian Economy. The award was presented at J W Marriott Hotel, Chandigarh to Mr. Komal Kumar Jain, Chairman Duke Fashions (India) Ltd. from Chief Guest Prof. Kaptan Singh Solanki, Hon. Governor of Haryana, Punjab and Administrator UT, Chandigarh. 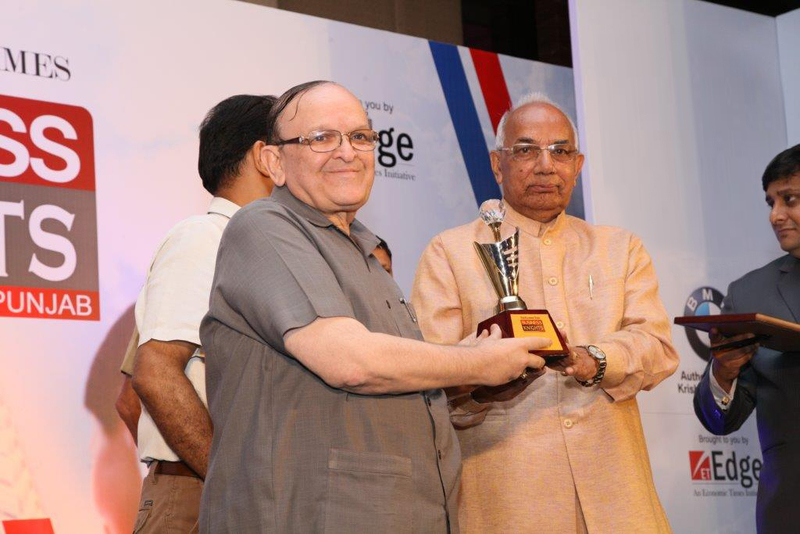 In a Statement, Mr. Komal Kumar Jain, Chairman Duke fashions, said,” I am delighted to receive this award”. He was honored to receive this award and offer his gratitude to the people who really meant for this award. He also shared that Business strategy, vision & innovation are the principal pillars on which our forward-thinking corporate policy is founded. DUKE, a premium lifestyle brand combines absolute casualness with cool elegance. The company’s values are based on its authentic fashion understanding heritage, dating back to the launch of the brand in 1966. Since then the brand has been further developed, taking influence from the latest European fashion trends, and is now a truly a pure Indian Fashion Brand with pan India & abroad presence. DUKE offers full ranges of clothing for Men, Women, and Kids. It is established in all the states of INDIA through more than 360 EBOs & being retailed in over 4000 selected premium retailers (MBOs). Duke is evolving, growing and diversifying to attain new heights. The evening started with opening remarks from Mr. Vinit Bagadiya, Sector Head, ET Edge. There was panel discussion by Anirudh Tewari, Principal Secretary, Govt. of Punjab; Dinesh Dua, CEO & Director, Nectar Lifesciences; Akshay Kapoor, Director, Kapsons; Ashok K Mittal, Chancellor, Lovely Professional University and Suphal Mehrotra, VP Business Enterprise, Vodafone, about opportunities and challenges for Business Leaders to drive the economic growth in India. Also the chief guest, Governor of Punjab shared their views with people present there. At last the evening was over with great dinner.